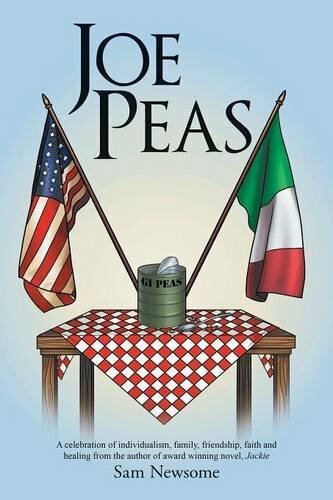 In “Joe Peas’ by Sam Newsome, things begin to change when Italian immigrant and artist Joe Peas enters into the lives of the people in a small town in the south. Much of it is for the better, even though it might not seem that way at first. Family Doctor James King is closely involved with the lives of his patients, especially those who reside in a long-term care facility, which he frequently visits. Some of the patients are there for rehabilitation purposes; others are there to finish out their lives. Dr. King grew up knowing many of the residents in the facility. When Joe Peas enters the picture, he is new to Dr. King; however, his lively personality seems to have an immediate impact on all who encounter him. Joe Peas appears to be an Italian immigrant who has perfected the art of house painting; however, as the story goes on, readers will realize that there is so much more to him. When he has to enter the facility to heal from a hip injury, things really liven up. He not only helps bring some of the residents out of their shells, but he also gets things stirred up in the private lives of Dr. King and his family. When Dr. King and his family return from a much needed vacation, he is surprised to discover that Joe has taken on the unfriendly head of the neighborhood housing association by using Dr. King’s home décor to make a statement. This brings a lot of attention to the small town and to Joe Peas himself. Joe’s secrets start to come to light, and we learn more about who this strange little man really is. I found “Joe Peas” by Sam Newsome to be a heartwarming, enjoyable tale. The townsfolk characters and their day-to-day issues are very real. With character development, Joe Peas’ character becomes larger than life, and is a great source of entertainment. I highly recommend reading this novel and really appreciate that it is written so that family members of all ages will be able to enjoy it. Definitely a good book to curl up with on a cold day! It will also stir up lively conversations at dinner tables and in reader groups.